PHP Shopping Cart Tutorial – Step By Step Guide! Previously, we learned how to create, read, update and delete database records on our PHP OOP CRUD tutorial. Today, we will put that knowledge to work by building a simple PHP shopping cart application. https://www.codeofaninja.com/wp-content/uploads/2015/08/simple-php-mysql-shopping-cart-tutorial-1.jpg 393 750 Mike Dalisay https://www.codeofaninja.com/wp-content/uploads/2019/03/codeofaninja-with-text-3-1030x206.png Mike Dalisay2015-08-24 16:08:392018-08-17 05:29:25PHP Shopping Cart Tutorial - Step By Step Guide! Previously, we have learned how to code a shopping cart using PHP SESSIONS. Today, we will learn a second way to do it. 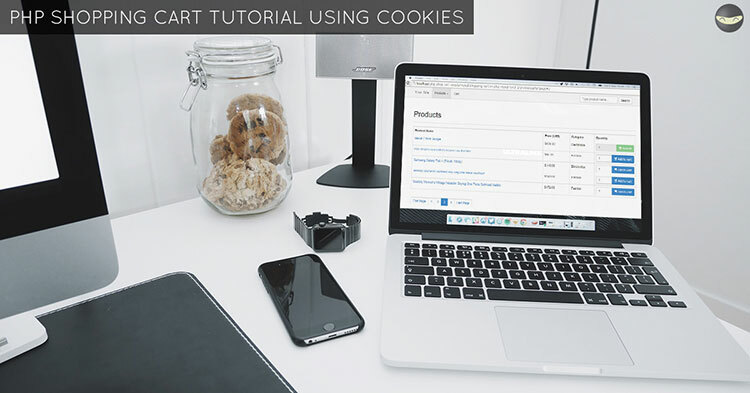 We will have a PHP shopping cart tutorial using COOKIES! Sounds delicious, isn't it? But the cookie that we will use is not the cookie we eat. Let me explain. In this tutorial, we'll use the HTTP cookie, also known as the web cookie or browser cookie. It is usually a small piece of data stored in the user's browser while the user is using the site. It is designed to be a reliable way for websites to remember useful information, such as shopping cart items, or to record any user activity on a website. 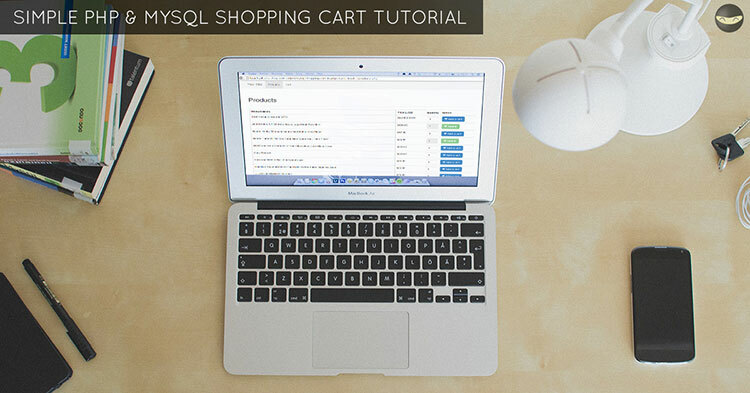 Previously, we learned how to build a Shopping Cart with PHP & MySQL where we used a database to store cart items. Today, we will learn another version of it. 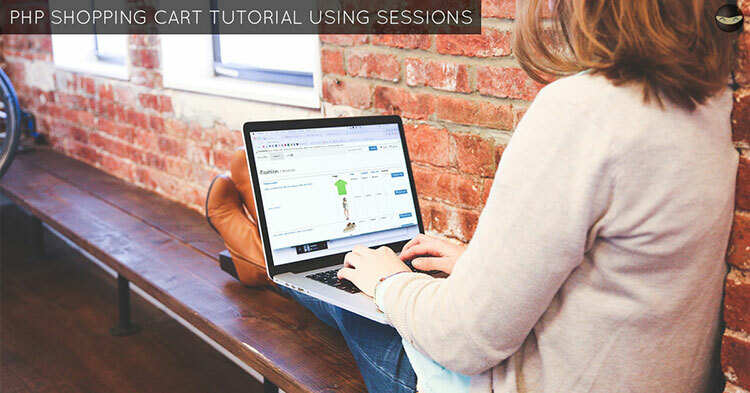 We will use PHP session variables to store cart items.